Not everyone who travels to Cajun country is a meat eater. We love to prepare special recipes for our diet-conscious guests using only plant-based ingredients. Our Cajun Tofu Scramble has become a big hit with Vegan and Vegetarian guests at Louisiana Cajun Mansion B&B; they always ask for the recipe before they leave. 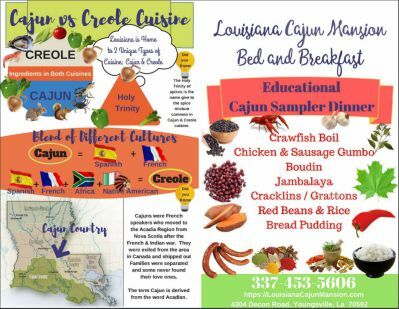 Food is an important part of our lives in Cajun country, and when staying at bed and breakfast, traveling on vacation, or going to events; we feel that no one should feel excluded from our cultural love of eating. 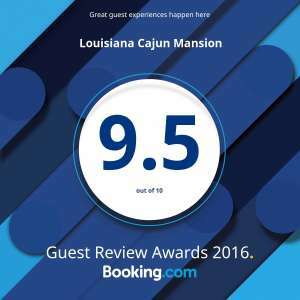 Our world famous Gourmet Cajun Specialties can send you home feeling as though your visit and the enitre experience was great! However, we understand that many guests are Vegan or Vegetarian, or they may have food allergies, or require gluten-free or lactose-intolerance dietary requirements. 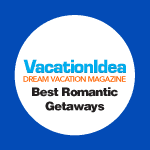 We want everyone to feel special and we try our best to put your preferences first. We always ask folks making a reservation if they have any dietary restrictions or preferences. This allows the kitchen plenty of time to prepare. Since we’re prepared with alternatives, it becomes a matter of grabbing gluten free sausage instead of smoked sausage, making a tofu scramble instead of scrambled eggs or serving soy or almond milk instead of cow milk. We provide a wide variety of breakfast food to accommodate all allergies and restrictions. Here in Cajun Land, we always provide splendid, varied, and delicious menus for those with dietary restrictions; and the dishes often taste so good that everyone enjoys them. 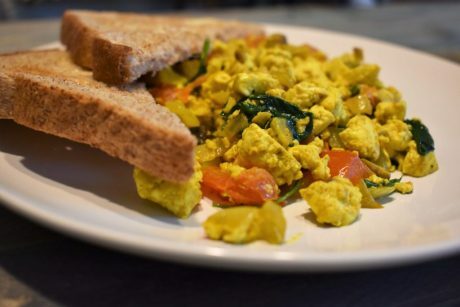 Check out our tofu scramble recipe and our breakfast foods we serve and tell us what you think. In a skillet mix together the onion, bell pepper, celery, garlic, tomatoes, spinach (optional) and vegetable or olive oil. Saute the onions on medium for about 20 minutes taking special care of the mixture; We do not want it to burn. You may have to add a little water every now and then so that the vegetables do not turn brown. Add the crumbled tofu and sauté for about 5 minutes to get all of the water out of the tofu. Then sprinkle the nutritional yeast, turmeric, paprika and turmeric to cover as much of the tofu as possible. Continue cooking another 5 minutes, taste and verify seasoning is how you like it.